What is the best time to build an outdoor fireplace for your Kansas City area home? 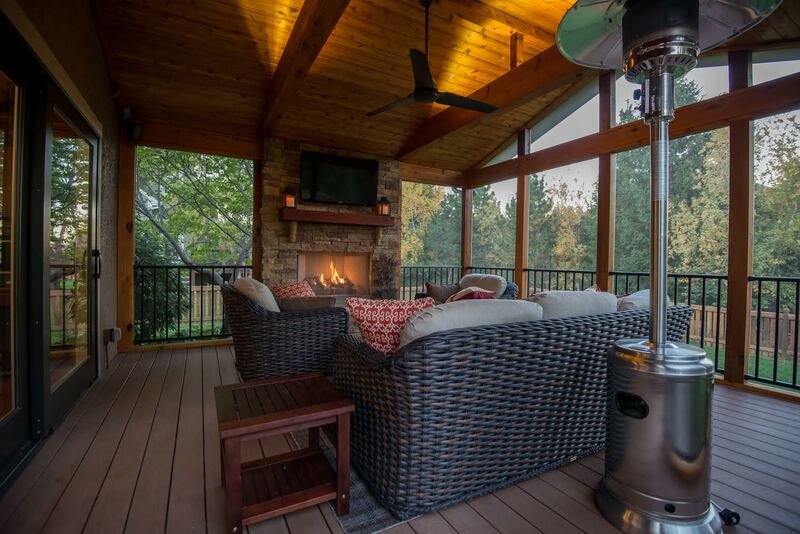 At Archadeck of Kansas City, more and more clients are adding an outdoor fireplace to their new porch construction and they’re doing so for a number of reasons. 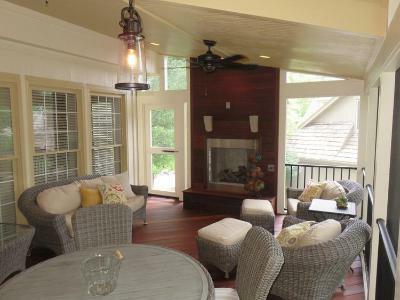 The warmth that a fire provides is a strong benefit of having an outdoor fireplace within your screened porch. Here in the Kansas City area, there are several months throughout the year that a screened porch area would be unusable due to the temperature. Your porch will undoubtedly be one of your favorite rooms in the house. Not only is a porch designed for relaxation, but the sights and sounds and smells of the outdoors lend themselves to an even more enjoyable outdoor living environment. With an outdoor fireplace on your porch, it will be usable for more months throughout the year. The sounds of the crackle of a fire, for most, bring back memories of childhood camp outs, many nights around a grill roasting marshmallows, and other enjoyable experiences. The sound of a crackling fireplace creates a peaceful and relaxing atmosphere. In addition, there is the sight of a fire. As most of us now have gas fireplaces, the view of the dancing flames is both mesmerizing and relaxing. Your cares drift away as you watch the flames in a fireplace. If you love using your indoor fireplace, you no double can imagine the even better experience to be had with having a fireplace built in to your porch. If you take a look at the some of the images in our outdoor fireplace photo gallery, you will notice that the fireplace is the focal point of the room. In fact, after looking at those porch images, it may be difficult to imagine how different those rooms would look without the fireplace. A fireplace adds majesty to a room like few other architectural features can. What is the best time of year to add an outdoor fireplace? Back to the question at hand. What is the best time to build an outdoor fireplace? If you are considering adding a screened porch, that is a great time to consider adding an outdoor fireplace to your new porch. In terms of time of year, the spring and summer may be the best times to start thinking about it. When you work with a reputable builder, you know it will take time to get on the production schedule. Add to that the build time, you will want to allow plenty of time to have your porch fireplace ready to enjoy during the next fall season. If you are considering adding an outdoor fireplace to your Kansas City area home, give us a call for a free consultation at (913) 851-3325.